Today's inspiration is artist Michelle Morin of United Thread on Etsy. 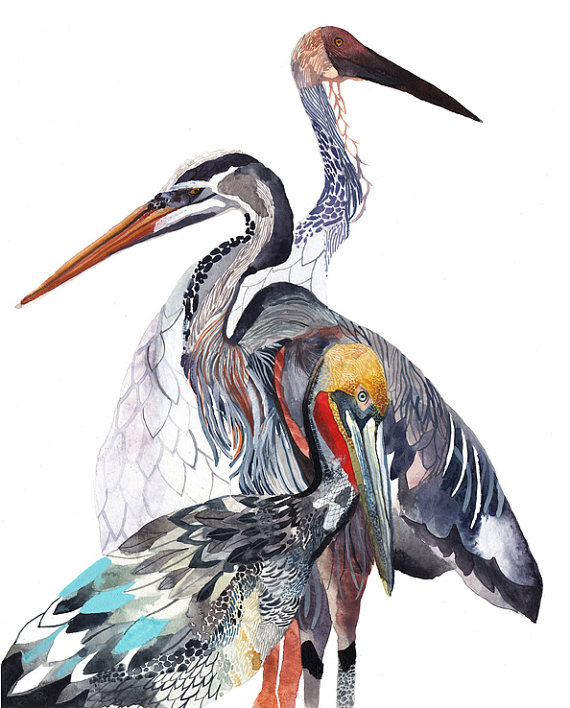 I just adore her work: the intricate details, vibrant colors, diverse color palette, the subject matter, and the unique textures and patterns! 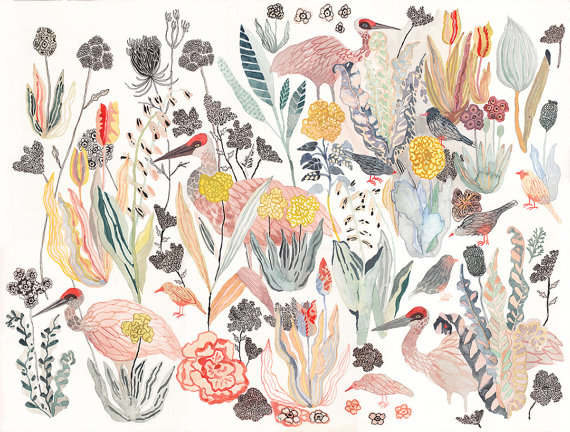 I love that she has originals for sale in her Etsy shop (one of which is the first picture featured, "Spring"). 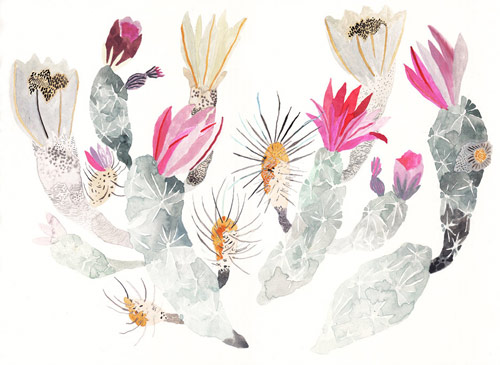 I think my absolute favorite here, although so very hard to choose, is the last painting, "Engelmann's Hedgehog Cactus." 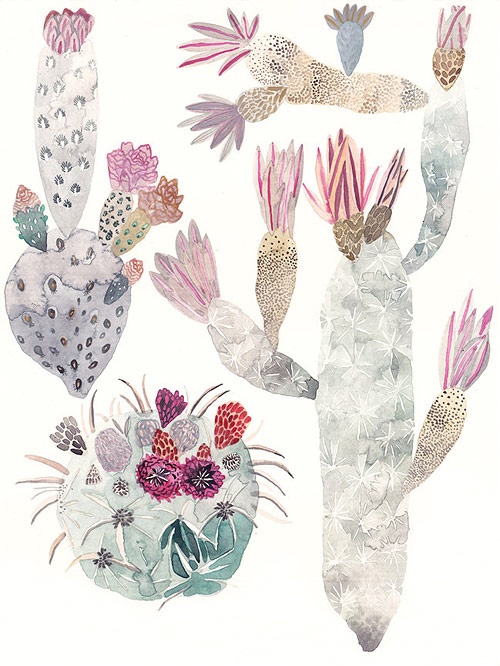 The softness of the cacti as well as the bright color pops just draw me in! I love the speckled texture too! What an inspiring artist!! 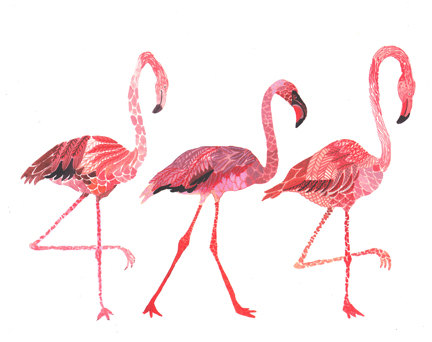 Read more about Michelle, her art, and process here. 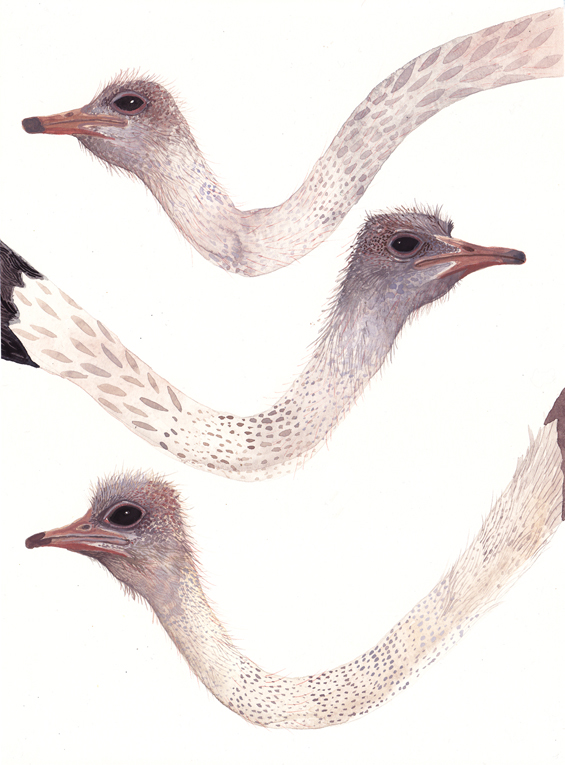 I featured the below painting, "Ostriches" by Michelle, in two nursery Style Boards here and here on my Interior Design blog, California Peach, in 2013 (I am in the process of moving Interior Design Boards like those right here to my Fine Art Blog! Read here.) 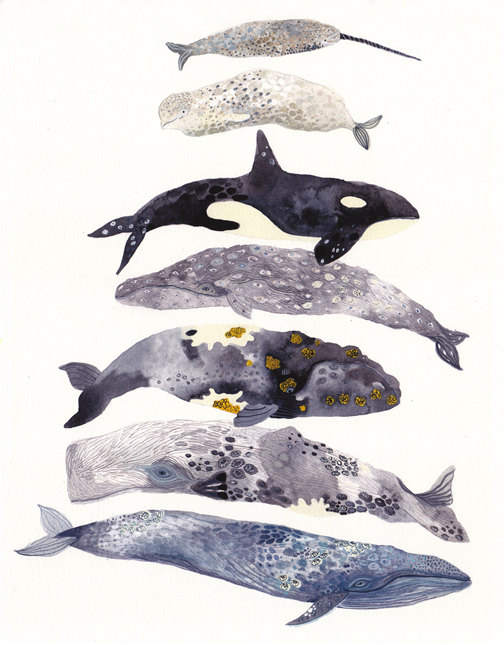 I also featured another piece of hers, "5 Whales Stacked," on a Narwhal Nursery Board. Aren't these works fabulous?! I really hope you take a look! I'll have to do a Friday post on this, but I feel if there is an artist you love and admire, it's a great idea to get on the e-mail list and follow their blog too! Visit Michelle on her website and on Etsy!